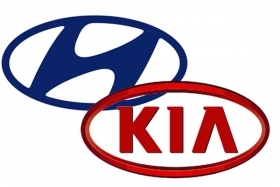 SEOUL -- Hyundai Motor Co. and Kia Motors Corp. said they expected their combined sales in Europe to grow 12.4 percent this year, exceeding forecasts despite economic problems in the region. Hyundai plans to sell 405,000 vehicles in Europe this year, higher than its earlier target of 400,000, the automaker said on Thursday. Kia is projecting sales of 293,000, compared with its previous goal of 285,000. Hyundai said earlier this month that the carmaker expected to beat its 2011 global sales target, as the global economic uncertainty creates an opportunity for the carmaker to accelerate sales and grab more market share. The Hyundai-Kia duo achieved a record monthly market share of 5.8 percent in Europe in August as its sales expanded by 20 percent in the market, which grew 8 percent. In the first eight months, Hyundai sales rose 9.1 percent to 254,819 cars, making it the third best-selling Asian brand in Europe, according to figures from European industry association ACEA. Kia was the fourth best-seller with 175,806 sales, a rise of 3.7 percent over the previous year. "We should carry out aggressive marketing so that new strategic models for Europe will drive European sales," Chung Mong-koo, chairman of Hyundai Motor Group, was quoted as saying during his visit to Europe. Chung planned to visit the Frankfurt auto show after he visited Hyundai's plant in the Czech Republic and Hyundai and Kia's sales operations in Frankfurt, Hyundai said. Once viewed as a manufacturer of bland but economical vehicles, Hyundai-Kia has addressed design and reliability problems in recent years, transforming it into a stellar performer even during the global financial crisis and emerging as formidable competitors to global automakers.